In this age of the Anthropocene we have – individually and collectively – arrived at a threshold of consciousness. The quality and trajectory of our consciousness is no longer incidental (perhaps it never was) to the fate of the planet and the associated ecosystems, including the relative stability of the atmosphere. Mindful and conscious living now emerge as an imperative with the dawn of the Anthropocene. At the core of this mindful and more conscious living must be the extension of an ethos of ‘non violence’ and a gentle self regulation wherein life is lived in the key of a new song: biorhythms…not algorithms. In a world struggling in violence and dishonesty, the further development of non-violence not only as a philosophy but as a way of life, as a force on the streets, in the market squares, outside the missile bases, inside the chemical plants and inside the war industry becomes one of the most urgent priorities. … The suffering people of this world must come together to take control of their lives, to wrest political power from their present masters pushing them towards destruction. The Earth has been mistreated and only by restoring a balance, only by living with the Earth, only by emphasizing knowledge and expertise towards soft energies and soft technology for people and for life, can we overcome the patriarchal ego (Chatto and Windus). Equally, the quality of the stories and connections will be paramount.After twenty years of global and regional ‘action’ to pursue the sustainable development agenda set out at the first Rio ‘Earth Summit’ (1992) the United Nations Environment Programme (2012) has concluded that efforts to slow the rate or extent of changes to the Earth System have resulted in only moderate successes but have ‘not succeeded in reversing environmental changes’. Moreover, several critical global, regional and local thresholds are close or have been exceeded. Once these have been passed, abrupt and possibly irreversible changes to life-support functions of the planet are likely to occur, with significant adverse implications for human well-being. Echoing Wittgenstein, Zizek concludes that the ecological crisis bites into our ‘objective certainty’, into the domain of self-evident certitudes about which, within our established ‘form of life’, it is simply meaningless to have doubts. The truth – of course – is that we have no choice but to live with new and far reaching questions about the implications of crises such as climate change. As Zizek and others have hinted…we are at a point of transition – ‘between stories’ – and as ‘communities of fate’ in a risk laden world, facing uncomfortable, unsettling questions is what we must now do both personally and collectively. Among the most interesting questions are those that confront the ‘social logic’ of capitalism and consumerism – for this is where we live out our lives, both real and imagined. And here, we meet the one of the most intriguing questions of all (after Zizek): why is that we can imagine the end of the world much more easily than the end of capitalism? As Tim Jackson (2011) has noted, capitalism – due to the ‘productivity trap’ (growth=jobs=social stability) (Jackson and Victor 2011) – has no easy route to a steady state position. Its natural dynamics push it towards one of two states: expansion or collapse. (Jackson 2011:158) He believes that any new economy will have to take three steps: i. establish and impose meaningful resource and environmental limits on economic activity; ii. develop and apply a robust macro-economics for sustainability; and iii. Redress the damaging and unsustainable social logic of consumerism. On the latter, Jackson has noted that the profit motive stimulates a continual search by producers for newer, better or cheaper products and services (‘creative destruction’ (Schumpeter, 1934) and the way in which the continual production of novelty is intimately linked to the symbolic or communicative role that material goods play in our lives (Jackson 2005; 2009). Jackson has highlighted how the social logic that locks people into materialistic consumerism as the basis for participating in the life of society is extremely powerful, and that it is also detrimental ecologically and psychologically, contributing to a ‘social recession’. He advocates structural change designed to address this social logic of consumerism, consisting of: i. dismantling the perverse incentives for unproductive status competition; and ll. New structures that provide capabilities for people to flourish – and particularly to participate meaningfully in the life of society – in less materialistic ways (Jackson 2011:163). One avenue will be the development of non-consumerist ways of understanding and being in the world. It is envisaged that a less materialistic society will increase life satisfaction; and a more equal society will lower the importance of status or positional goods. The ‘social recession’ manifests in a number of symptoms that flow from a disintegration of social ties or social liquidity (Bauman 2005,2007) or “consumer society” wherein all things, goods, and people are treated as consumer objects. Liquid society is the result of a process that has accelerated from the early 1980s along with neoliberalism and globalisation; it is a mobile, transient, precarious society in which the disintegration of social ties reaches levels that have been hitherto unknown. Bonaiuti (2012:41) – calling for an alliance of the ‘degrowth’ and ‘environmental justice’ movements – has linked this disintegration to: i. the spread of individualistic behaviours and to positional competition (Hirsch 1976); ii. a contribution to the loss of well-being in contemporary societies; lll. A loss of resilience of social organisation when faced with external stress (economic or ecological); and iv. to a clue to comprehending why contemporary societies seem to show little reaction when confronted with the multidimensional crisis we are facing. So many of us are now familiar with the argument that advanced capitalism is hitting up against both ecological boundaries (Rockstrom et. Al. 2009) and ‘social limits’ associated with the promotion myopic behaviour and hyper-individualism. But what if the ‘social recession’ is not only undermining our psychological wellbeing but also undermining our ability to respond to the ecological crisis? As Bauman (2005:117) suggests, ‘Imagining the possibility of another way of living together is not a strong point of our world of privatised utopias’. Perhaps we need to pay more attention to the way we experience the deep socio-cultural patterning of advanced capitalism. Perhaps caring for the self is a necessary pre-requisite for and accompaniment to our collective response to the larger systemic crises. Tracing the rise of the post-Fordist brand of newly invigorated capitalism in 1980s Britain, Rutherford (2008) describes how the new capitalism extends commodification into the realms of subjective life and invades the space of creative living (Winnicott)…’Just as early industrial capitalism enclosed the commons of land and labour, so today’s post-industrial capitalism is enclosing the cultural and intellectual commons (both real and virtual), the commons of the human mind and body, and the commons of biological life.’ (2008:13) Paul Virno (2004) has argued that the productive force of post-Fordist economic activity is ‘the life of the mind’. Not just cognition but also intuition and the symbolic world of the unconscious, where communication is non-verbal. Rutherford (2008) detects a tragic dimension to this: the culture of capitalism has depoliticized class while heightening the inequalities and social gulf between classes. Consumption may offer the pleasurable pursuit of desire but it is also a mass symbolic struggle for individual social recognition, which distributes shame and humiliation to those lower down the hierarchy: ‘The pain of failure, of being a loser, of being invisible to those above, cuts a deep wound in the psyche’. In turn, this kind of stress dramatically increases our vulnerability to disease and premature death. During preparations for the United Nations Conference on Sustainable Development (Rio+20) Member States and other stakeholders were invited by the Second Preparatory Committee to provide inputs and contributions for inclusion in a compilation document that would serve as the basis for a preparation of a pre-negotiation ‘zero draft’ of the conference outcome. In an analysis of the resulting document conducted by the Rio+20 NGO Stakeholder Forum some 97 popular ‘concepts and initiatives’ are identified in submissions to the conference secretariat. The most popular term that appears in the submissions, cited in some 448 documents altogether, is ‘health and well-being’. [The priority accorded to these themes is reflective of a number of important international policy conversations with complex and provocative linkages, and which will be taken up at the UNCSD. These conversations include the influential debates on the limits of GDP as a reliable indicator of economic performance and social progress, prosperity without growth (Jackson), and sustainable consumption (tackling consumerism). In contrast, neither the terms capitalism nor neoliberalism merit a comment in the Stakeholder Forum analysis. One reading of the collapse of the global economy over the past four years is ‘the return of the soul’ no less. 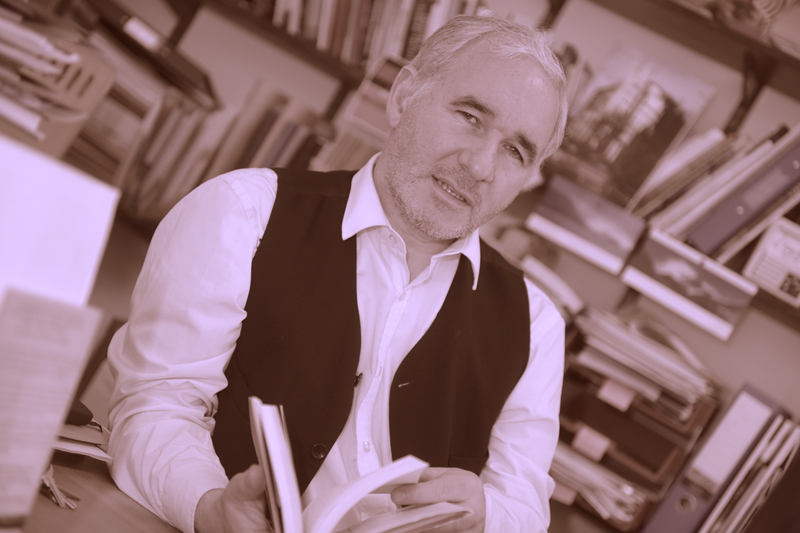 Berardi concludes that the perfect machine of neoliberal ideology, based on the rational balance of economic factors, is falling to bits because it was based on a flawed assumption that the soul can be reduced to mere rationality: ‘The dark side of the soul – fear, anxiety, panic and depression – has finally surfaced after looming for a decade in the shadow of the much touted victory and the promised eternity of capitalism’. (2009:207) Semiocapitalism, or the production and exchange of semiotic matters, he writes, has always exploited the soul as both productive force and market place. Berardi is referring here to the deep cultural and linguistic codes that can come to inform our self-understandings under the influence of consumerism/capitalism; a new interiorized frontier in the history of enclosure. Perhaps we have yet to grasp the nature of mass mediatized capitalism (as culture) and its threat to well-being at the most subtle levels of human experience. If we were to do so we should have to look at its impact at the level of human ‘attention’ and ‘intention’. Noting considerable implications for the nature and dynamics of the public sphere where we must, finally, negotiate and engage with the crises of ecology, Hershock describes the market valorization of convenience and choice as signalling both a general narrowing of our horizons of personal responsibility and, over time, a severe compromise of relational capability and attunement. Each act of commodity consumption marks a smooth and efficient paving over of opportunities for developing the complex attentive and relational skills associated with contributory virtuosity. Hershock uses the example of a jazz soloist as a metaphor for this notion of virtuosity arising from the practice of Chan. Western encounters with Zen have influenced both culture and theory. The beat poets, the Jazz minimalists (John Cage, and Leonard Cohen), are among the most prominent performers who have been influenced by the Zen aesthetic. (And somewhat paradoxically, so too was the late Steve Jobs). Zen has also impacted on some of our most influential philosophical thinkers, possibly Heidegger who was aware of D.T. Suzuki’s writings – the Japanese teacher credited with introducing zen to the West. Indeed, Heidegger’s attentiveness to the issues around ‘modes of thinking’ and his radical distinction between i. rational, calculative thinking; and ii. meditative/beholding, parallel insights from the Zen tradition. For Heidegger, the calculative mode came to dominate our thinking in terms of the modern security/technology obsessed man, based on a (new found capacity for, economic requirement for) wilfulness and a desire to objectify everything and dominate the objects of thought. The meditative or beholding mode, which Heidegger described as ‘thanking thinking’, is characterized by a way of thought marked by a disposition to beholding, respect and openness, and an overcoming the limits of ego-consciousness and the separation inhernet in the subject-object split. Apffel Marglin and Bush (2005) describe this ‘conquest mentality’ (above) as a ‘breach of faith toward everything that is’ (after Boss (1965)), a breach that has not only enabled unprecedented levels of human control and manipulation of the social and natural world but which also lies today behind a deep alienation and sense of meaninglessness. 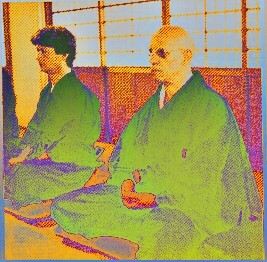 Perhaps most intriguing, however, was Michel Foucault’s encounter with Zen. He goes on to cite his interest in the famous Zen teacher, Lin Chai Rinzai, who lived during the Tang Dynasty (867) and, in the course of a conversation on the crisis in Western philosophy, comments that if a philosophy of the future exists, ‘it must be born outside of Europe or equally born in consequence of meetings and impacts between Europe and non-Europe’ (1999:113). Liebmann Schaub’s (1990) article on ‘Foucault’s Oriental Subtext’, though speculative, is both informed and all the more compelling, given Foucault’s first hand experience of Zen practice. Liebmann Schaub makes no reference to the visit. Instead, she posits that Foucault’s texts exhibit trace elements of oriental philosophy, religion, and kindred forms of Western mysticism, and that these various elements appear to constitute a ‘generative code’ beneath much of his discourse. She cites, for example, a discussion in 1968 – in the wake of the student riots and a current interest in eastern spirituality – in which Foucault takes Western ‘individualist’ interpretations of eastern philosophy and practices (‘mind expansion) to task for seeking to ‘attain an individual madness beyond the rationality of the world’ as opposed to the eastern objective of destroying ‘the madness of normality and to regain true reality’ (Caruso 1969, cited in Liebmann Schaub (1990)). Foucault’s understanding of philosophical askésis (McGushin 2008:xiii) (‘gymnastics of the mind’) refers to philosophy as practice or ‘work of thought upon itself’. [In our Western discussions on askésis I think we habitually overlook the distinction between discussions ‘about’ philosophy as practice, and the profound distinction that must be made when we engage in/with such practices]. Foucault believed that a new and more profound or elevated relationship to the self emerges from these practices (historically….and perhaps, given his exposure to and interest in Zen, in contemporary times). I believe that the crisis that goes under the sign of ‘consumerism’ (our immersion in the ‘social logic’ of capitalist realism, driven by the ‘capital as power’ articulated by processes of capitalisation (micropractices) )provoke an urgent reconsideration of the role of ‘training’ or ‘practice’ in preparation for the exercise of a richer notion of freedom that is compatible with a vision of human flourishing, within ecological limits (pace, ‘voluntary simplicity’, Alexander (2010)). A completely biopolitical interpretation of life is a political project. In this way, discipline, biopolitics, and normalization paradoxically institute a powerful self-neglect, a pervasive thoughtlessness about the fundamental political and ethical question – How will I live ? – precisely by saturating space and time, our bodies and desires, with techniques, discourses, and relationships which have the goal of taking care of us and making us happy. Noting our immersion in the biopolitical project [e.g. consumerism], Foucault posited ‘care of the self’ as a possible counter-practice in the form of alternative techniques of self-fashioning and practice, a resistance to the forms of power which structure ways of perceiving space and time bodies and minds. At least two primary sets of responses to such investigations are emerging. At the macro-level of the economy and society, the totalizing drive of the neoliberal phase of capitalism – whose rise accompanied the decades that preceded and followed on the heels of the ‘Earth Summit’ in Rio in 1992 – has reached a point of exhaustion both in terms of the need to revisit the capitalist ideology of ‘growth’ (and its role in concealing the institutionalization of inequality across countries and within countries) and to confront the challenge of redesigning an economic system in the service of people and respectful of the planet’s ecological and atmospheric boundaries. Integral to the macro-response is an emerging recognition that a parallel and urgent challenge for Western citizen-consumers is the need to recast the notion of prosperity in a new language of flourishing and well-being rooted, in part, in a reclamation of ‘attention’ and ‘care of the self’ (forms of askesis) from the complex of capitalisation. Institutional support, consistent with new social logics (e.g. voluntary simplicity), will also be required to support a new and holistic appreciation of the human being as opposed to the self-interested ‘radical subjectivism’ cultivated by and in the service of the market. As Jeffrey Sachs observes in his chapter on ‘The Mindful Society’, an integral part of restoring balance to our engagement with society, health and the economy, will be a restored quality of mindfulness as a key element in silencing the ‘relentless drumbeat of consumerism’. Mindfulness and contemplative practices (yoga, tai chi, meditation) are already embedded in American classrooms from Princeton to Westpoint, where students begin their classes in silence. For Apffel-Marglin and Bush, the emergence of contemplative practices in our universities is an entirely appropriate response to the 21st century ‘onto-epistemological situation we find ourselves in’, one that requires new tools for empathy and inquiry, tools that allow us to inquire into a world with which we share our ‘interbeing’ and support a recovery of ethics. Hershock describes mindfulness practices as an alternative technology – an alternative to our technological bias toward control and wanting. For control has silenced the things and people sharing our world, making it impossible for them to spontaneously and dramatically contribute to our narration. Unfortunately, a strategic silencing of alternative ways of seeing the world and the human being has been one of the major achievements of unfettered capitalism, a strategic silencing that also effectively patrols what can and cannot be contemplated in the course of current global environmental diplomacy. See Marglin, n. above, 64. J. Sachs, The Price of Civilization: Reawakening American Virtue and Prosperity (Random House, 2011), at 161-183. See F. Apffel Marglin and M. Bush, n. above, at 21-22. It is reviewed here on the TLS site by Emanuele Leonardi who highlights how the new book can be interpreted as a twofold contribution. On the one hand, it represents much-needed commentary to the lectures delivered by Michel Foucault at the Collège de France in 1978/1979, entitled Birth of Biopolitics. On the other one, it provides a compelling analysis of neoliberal governmentality in the era of capitalist financialization – which is also the epoch of a fully deployed crisis of Fordism. Whereas in the first part the authors elaborate a multifaceted and plural image of liberalism and a convincing reading of the emergence of neoliberal rationality, the second section assembles a critical genealogy of ‘entrepreneural governance’. This latter refers to a ‘neo-subject’ which functions according to a regime of ‘jouissance of oneself’ – whose deployment accounts for the incorporation of the shareholder logic and for the self-entrepreneur’s socio-clinical pathologies. A powerful depiction of our imaginative absorption into the horizons of capitalist realism. ‘Touching the Earth’ is a Buddhist meditation that invites us into that place where we encounter archaic memory, the memory of blissful unknowing. It is a place within all of us that recalls – with every animal – that moment when we walked memoryless through bars of sunlight and shade in the morning of the world. Where we encounter the archaic memory of blissful unknowing of the animal that once walked memoryless through bars of sunlight and shade in the morning of the world. The practice of ‘Touching the Earth’ is to return to the Earth through the body, a journey to our roots, to our ancestors, and to a recognition that we are not alone but connected to a whole stream of spiritual and blood ancestors. We are their continuation and with them will continue into the future. We touch the earth to let go of the idea that we are separate and to remind ourselves that we are the Earth and part of an unfolding creation. The term ‘engaged Buddhism’ was created to restore the most compelling dimension of Buddhism. Engaged Buddhism is simply Buddhism applied to daily life. If practice is not engaged, it cannot be called Buddhism. Buddhist practice takes place not only in monasteries, meditation halls and Buddhist institutes, but in whatever situation we find ourselves. Engaged Buddhism means the activities of daily life combined with the practice and ethic of mindfulness. (Thich Nhat Hanh, paraphrased). In one of Buddhism’s iconic images, Guatama Buddha sits in meditation with his left palm upright on his lap, while his right hand touches the earth. The forces of death and negation try to unseat the contemplative, because their King, ‘Mara’, claims that place under the Bodhi tree. As they proclaim their leader’s powers, Mara demands that Guatama produce a witness to confirm his spiritual awakening. The Buddha simply touches the earth with his right hand, and Creation itself responds: “I am your witness”. Mara and the minions disappear. The morning star appears in the sky. And it is from this mytho-poetic moment of supreme awakening to the human-nature condition from which the whole Buddhist tradition unfolds. Mara, interestingly, is linked etymologically to the figure of ‘death’. It refers to the Vedic or pre-Buddhist mythic figure, including a manifestation related to Namuci or a ‘demon of drought’ [A God of Death]. This is interesting in our current times of climate change and its impacts on water scarcity. Mara [Namuici] threatens not by witholding seasonal rains but by witholding or obscuring the knowledge of truth. Namuci is a figure who was transformed in early Buddhist texts to become Mara, the god of death. In Buddhist demonology the figure of Namuci, linked to death caused by calamities such as drought, was taken up in the symbolism of Mara, threatening the welfare of humankind. The 20th century Vedantin sage, Ramana Maharashi noted that the Earth is in a constant state of dhyana (meditative absorption). The Buddha’s earth-witness mudra (hand positioning) is a beautiful and poetic example of “embodied cognition” or embodied knowing. The posture and gesture embody unshakeable self-realization as interbeing. He does not ask heavenly beings for assistance. Instead, without any words, the Buddha calls on the Earth to bear witness. The Earth has observed much more than the Buddha’s awakening. For the last three billion years the Earth has borne witness to the evolution of innumerable lifeforms, from the single cell creature to the extraordinary diversity and complexity of plant and animal life that flourishes today – and in which we are embedded as an integral element of ‘interbeing’ and custodian. Many biologists predict that half the Earth’s plant and animal species could disappear by the end of the century. We are living through the sixth mass species extinction – with all the physical, resource, aesthetic and spiritual implications that heralds for our interbeing. This sobering fact of extinction reminds us that phenomena such as climate change is a primary but not the only ecological crisis facing us today. Indeed it is only one of three critical ‘Planetary’ thresholds that are currently being broken by our political, economic and technological institutions and practices today. Mara appears to us today as a collective experience of ‘deep dualism’ and discrimination. Ecological insight has been supplanted and dismissed by collective delusions and denials that are not incidental but expressions of deeply embedded, habituated institutional responses to our shared experience on Earth. Behind the delusion is a universe and an earth system in which everything inter-penetrates, in which everything needs everything else and where there is no single speck of dust that does not affect the whole. In the Flower Garland Sutra a most resounding metaphor, the Diamond Net of Indra, points to all existence as a vast net of gems that extends throughout the universe, not only in the three dimensions of space but in the fourth dimension of time as well. Each point in the huge net contains a multifaceted diamond which reflects every other diamond, and as such, essentially contains every other diamond in the net. There is no centre and no periphery. The diamond represents an entire universe – or reality – of past, present and future. In a sense, what the metaphor depicts is how each and every thing in the universe contains every other thing troughout all time, including responsibility for each and every other part’s fate. The Diamond Net of Indra is not just a philosophical postulation. It is a description of realized reality. It is the direct experience of thousands of awakened women and men. And my own person reflects all Buddhas to whom with my whole life I go for refuge. The Buddha’s narrative and teaching have been transmitted across many cultures over the centuries and are always – in effect – in translation. The generic idea of the ‘buddha’ incorporates awakening and teaching for a given time or era. In our own times, our conditions of life are giving rise to a sense of exhaustion that is both external (in terms of ecological stress, pollution, and our alienation from nature) and internal (in terms of the ‘social recession’ or pathologies associated with inequality and the colonization of the life world by commercial and neoliberal logic). Out of this exhaustion – compounded by the onslaught of corporate-sponsored demands on our attention, there is a palpable demand for new forms of intimacy: The Sanskrit word for yoga is ‘intimacy’. Yoga and mindfulness can be described as practices of intimacy, practices of becoming more intimately connected with our moment to moment physical experience, a radical act of paying attention. For the Buddhist, living simply is simply living out a radical form of non-violence, a radical act of taking responsibility, for the moment-to-moment arising of all conditions, or worlding. Caring for the self and caring for the world go hand in hand because, for the Buddhist practitioner, the quality and compassionate content of relationships (including our relations with the ‘self’, ‘others’, and the ‘world’) are always prior to the conditions and ‘things’ to which they give rise. Simple living can be an act of radical responsibility.